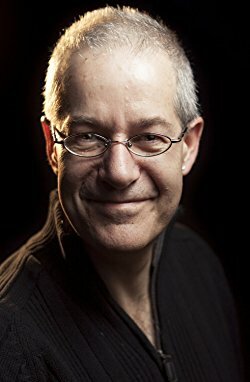 Interview with Massimo Pigliucci about his interest in Stoicism. I am a professor of philosophy at the City College of New York, my specialty being philosophy of science. I had a previous career as an evolutionary biologist. I have been a practicing Stoic for a bit over two years. I actually spend a significant time of my working hours on Stoicism, nowadays. This semester, for instance, I am teaching a course on Stoicism as Practical Philosophy at City College, to which the students are responding enthusiastically. I have also incorporated into my routine the writing of 2-3 posts a week for howtobeastoic.org, summarizing my reflections on reading and practicing Stoicism. When I saw a link to Stoic Week popping up on my Twitter feed a few years ago! I thought, “Stoicism? What a weird thing!” I re-tweeted and didn’t think about it for a while. Then it happened again the following year, and I said, well, let’s take a closer look… and now I find myself co-organizing STOICON and talking to you, the author of the very first book on modern Stoicism I have read! Its harmonious connection between theory and practice. I was leaning toward virtue ethics before I took a serious look at Stoicism anyway, because I am convinced that philosophy ought to be practiced, it cannot just be an exercise in logic chopping. And Stoicism offers a beautifully constructed, yet sufficiently flexible, system of thought that can guide one’s life day by day. In the same way it mattered for the ancient Greeks and Romans: it helps us navigate a world in which large events happen pretty much outside of our control, a world in which we still seek meaning and tranquility, and which – sadly– is still plagued by inequality, war, and injustice. We may use iPhones rather than parchment to take our notes on, but it seems like human nature hasn’t changed that much, for better or for worse. That’s why Stoicism (and its Eastern equivalent, as I’ve come to think of it, Buddhism) is still very much relevant today. It has changed it significantly, I would say. I now begin the day with a meditation spurred by a Stoic quote, as well as with a contemplation of the challenges ahead. I try to be mindful in the Stoic way throughout the day, paying attention to the here and now, and to the ethical dimension of everything I do. And I end the day retiring in a quiet corner of my apartment to write my personal philosophical diary, to identify things I did well or not, as well as things I might have done better, during the day. And the results are pretty obvious to my friends and my family: I am much more calm, and I tackle my problems with more equanimity than before. I have to die. If it is now, well then I die now; if later, then now I will take my lunch, since the hour for lunch has arrived – and dying I will tend to later. (Epictetus, Discourses I, 1.32). It’s one of the first ones I encountered by Epictetus, and it struck me because of its combination of wisdom, perspective, and sense of humor. Really, hard to do better than that! There are so many resources! they could probably start with your blog, with the Modern Stoicism one, maybe also with my own. Use them to get a sense of what Stoicism is about, and to get recommendations for good books to read. One must read the ancients, not just modern authors, so at some point it’s definitely worth going through Marcus, Epictetus, and Seneca, at the least. Also, join our Facebook community, more than 15,000 members strong. I find it a rather unusual place on the internet, with far less trolling and nasty behavior than elsewhere (though I’m sure your moderation helps…). People seem to genuinely want to learn and to help others do the same. Careful, my friend, open ended questions aimed at philosophers may turn into a long stream of answers… But I’d say to keep in mind that Stoicism is just one of a number of possible philosophies of life. Maybe it is right for you, maybe it isn’t. The important thing is not to treat it as religious dogma. If you disagree with one Stoic precept or another, remember, so did Seneca and Posidonius, and they wasn’t shy about it! Keep an open mind, keep reading, keep practicing, above all keep trying to be a better human being. 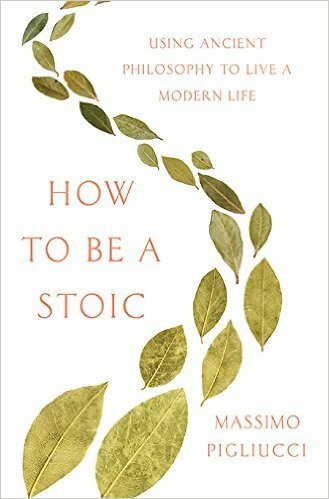 Massimo’s book on Stoicism, How to be a Stoic: Using Ancient Philosophy to Live a Modern Life, will be available from Basic Books in April 2017.